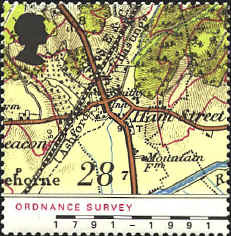 The Ordnance Survey was begun in 1791 in preparation for an expected French invasion. 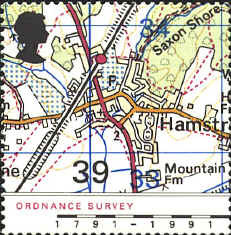 The maps of the village of Ham Street, Kent (7 miles south of the town of Ashford) show the development of the Survey maps from the beginning to the present. 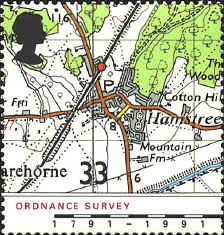 The maps are dated 1816, 1906, 1959 and 1991. 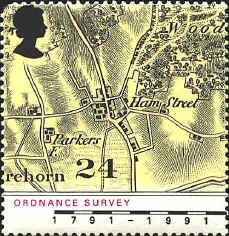 The stamps were issued in 1991 to commemorate the bicentennial of the Survey. While the Survey was originally for military purposes it now makes map of all kinds.